Social club with great parties etc. Staff are product experts in their areas and have built up this expertise over time and through training. Be honest – if you don’t know do not waste the customer’s time. Find somebody with the right answer. Bring the customer to the answer if required. Headquarter staff spend a few days serving over peak periods. This helps to give better customer service overall but also gives them immediate insight into the problem areas that customers are facing. Maintain exceptional customer service online. Customers have access to people when they need it and can use Waitrose and John Lewis stores to pick up their purchase rather than missing the delivery at home. Online is becoming a huge part of the overall service offered by John Lewis allowing customers to purchase when stores are closed. The John Lewis Clearance sales started on Xmas eve. Shopping can be stressful and unpleasant in the wrong environment. John Lewis try to help make it a pleasant environment. Keep queues to a minimum by hiring temporary staff for peak times to help at till as and free up existing staff to answer questions and give advice. Also deploy HQ staff to help out. Staff are honest and if they cannot answer will say so but will find someone who can and will not leave the customer until they are assured that the customer is being served by someone able inside John Lewis. 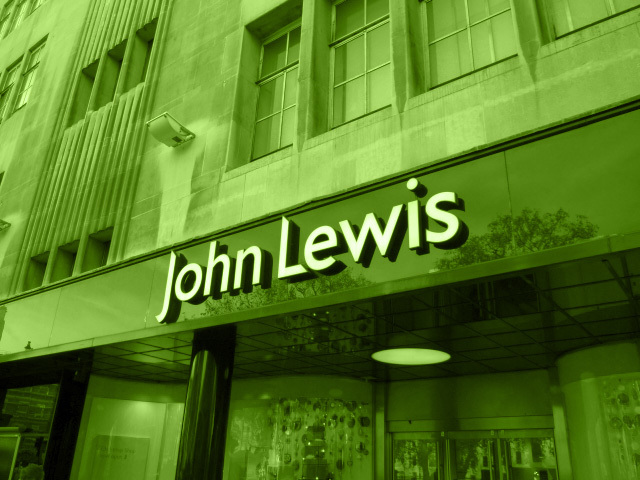 John Lewis will match competitor prices if evidence is presented that is relevant and reasonable. Staff are empowered to do this on the fly with manager’s approval. Systems will support on the fly one off discounting. John Lewis customers are trusted implicitly and when they bring back a product that they are not happy with it is changed often without question. This could be abused but at a macro level this creates tremendous good will and indeed more purchases. Often customers need to see the product in the home environment before being really sure and if they could postpone or not purchase if the returns policy was too difficult. John Lewis provides market leading warranties on electrical items whilst maintaining competitive prices.. This has become more important a sthe options on the high street narrow. Hire people who will take on the values of John Lewis and take it forward. The gatekeepers that hire staff into John Lewis have an important job to hire people that will not abuise the trust and respect gievn to them by partners and customers.